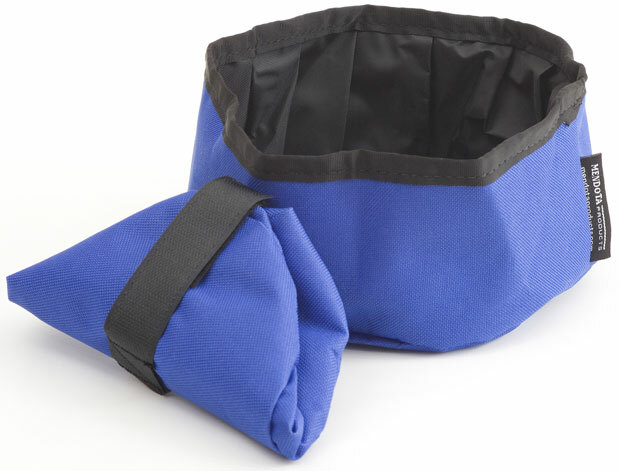 * A handy item to have while traveling, exercising your dog or out in the field. * Holds 1.1/2 quarts of food or water. * Conveniently folds up to be stuffed in your pocket. * The perfect solution for keeping your dog hydrated while enjoying the great outdoor. * Size: 7 3/4" x 3 1/2"